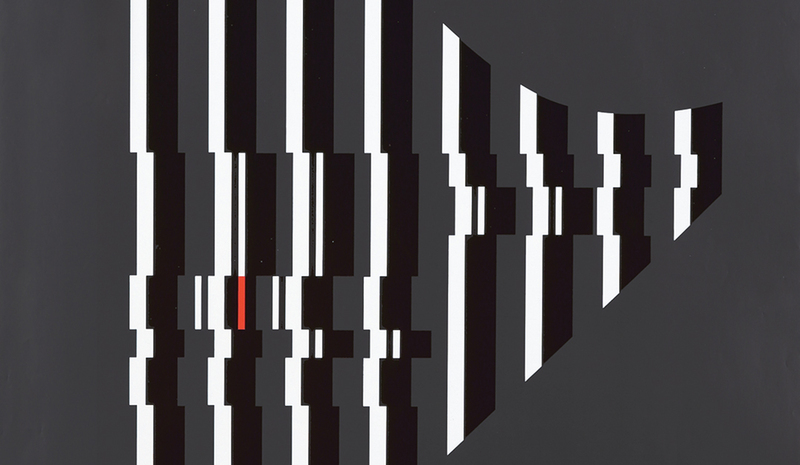 Dan Reisinger (1934- ) is an Israeli graphic designer and artist. Born in Serbia to a family of painters and decorators, he then immigrated to Israel in 1949. 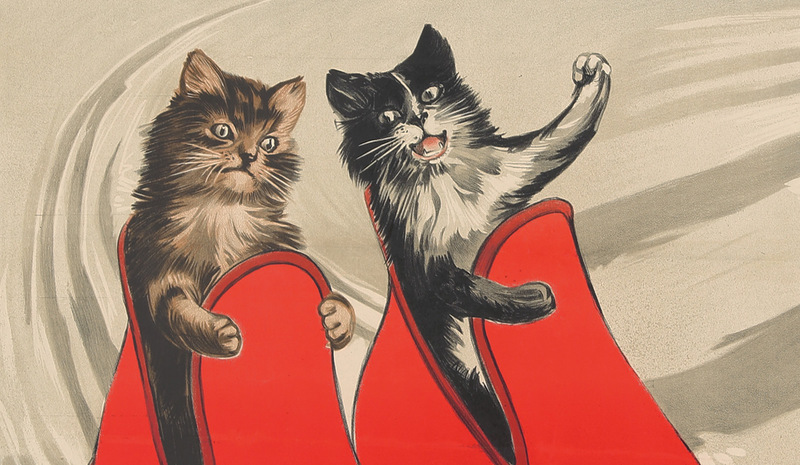 He held a variety of creative positions as a young adult, including as art director for the Israeli Air Force, student at London’s Central School of Art and Design, and poster designer for Britain’s Royal Mail. 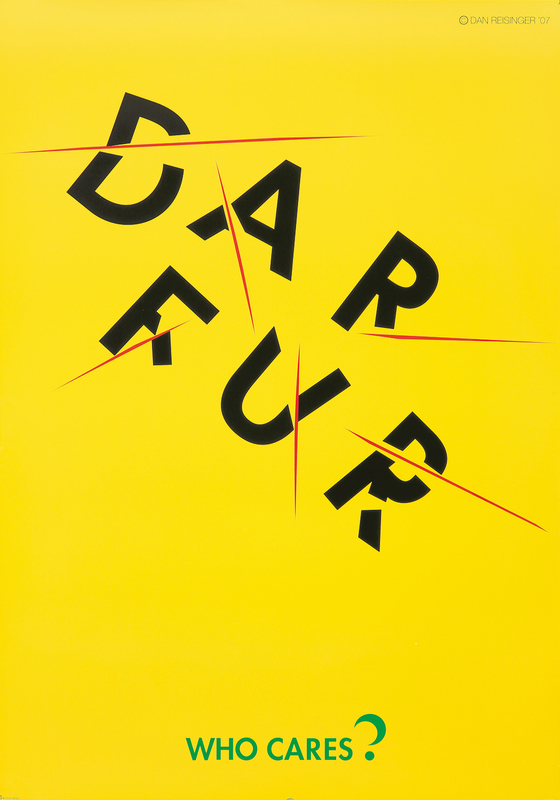 Upon returning to Israel in 1966, he established his own studio in Tel Aviv, where he continued his work designing posters, as well as calendars, packaging, and more than 150 logos. His work centers largely on social and political issues, and his unique style combines his influences in Minimalism and Constructivism—with a dose of humor. His poignant works are both provocative and charming, and cover a wide range of cultural, political, and social matters. Sixth International Harp Contest. 1976. In Israel, the land where David sang on his harp, Reisinger’s abstraction of the instrument being played is another example of his ability to distill an idea to abstraction without losing any meaning. 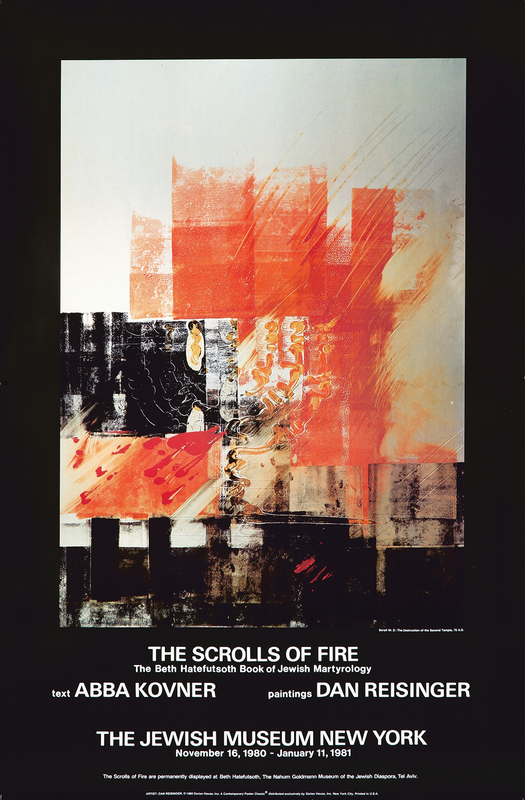 The Scrolls of Fire. 1980. This poster advertises an exhibition of the Beth Hatefutsoth Book of Jewish Martyrology at the Jewish Museum of New York. 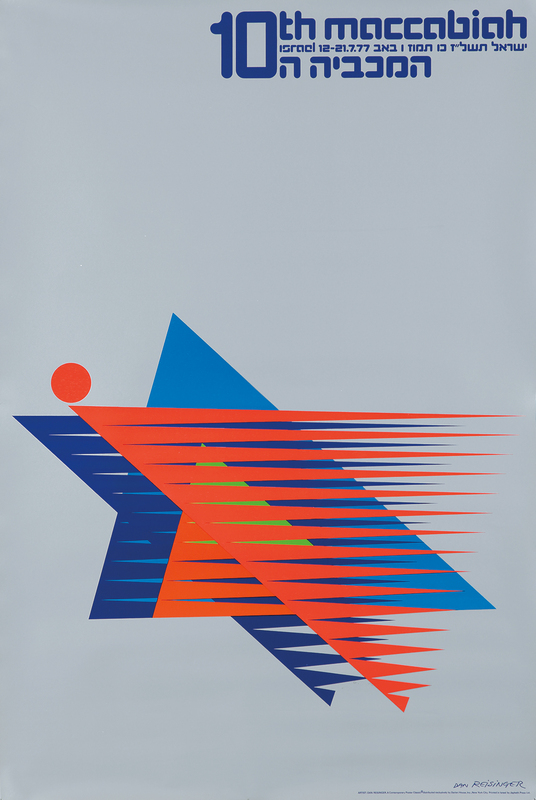 For the summer running of the 10th Maccabiah Games—Israel’s Olympics—Reisinger creates another dynamic image: a stylized red running figure superimposed on the country’s symbolic Star of David in blue. Reisinger once again employs the use of elongated triangular elements, this time to the end of evoking the speed and excitement of the athletic competition. 8th International Assembly of Choirs - Zimriya. 1973. Printed in 1973, this poster advertises the 8th International Assembly of Choirs in Zimriya. 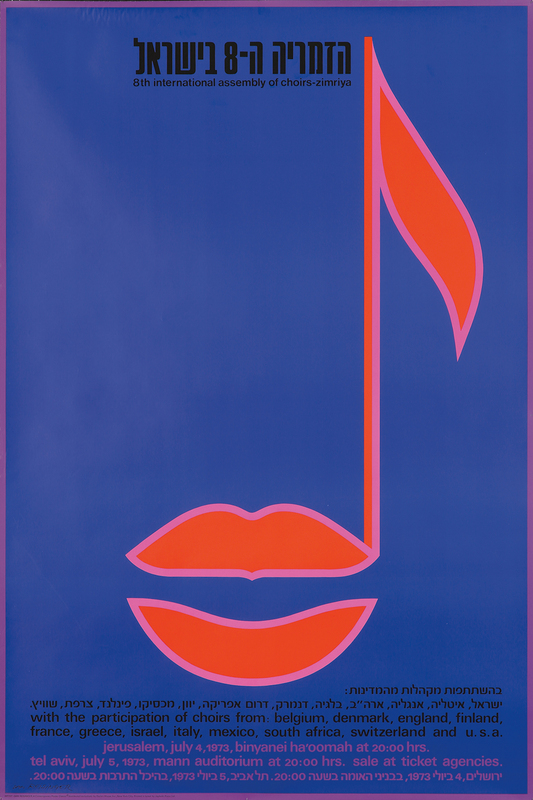 The graphic is aptly simplistic: a musical note whose body is depicted as a mouth open in song. 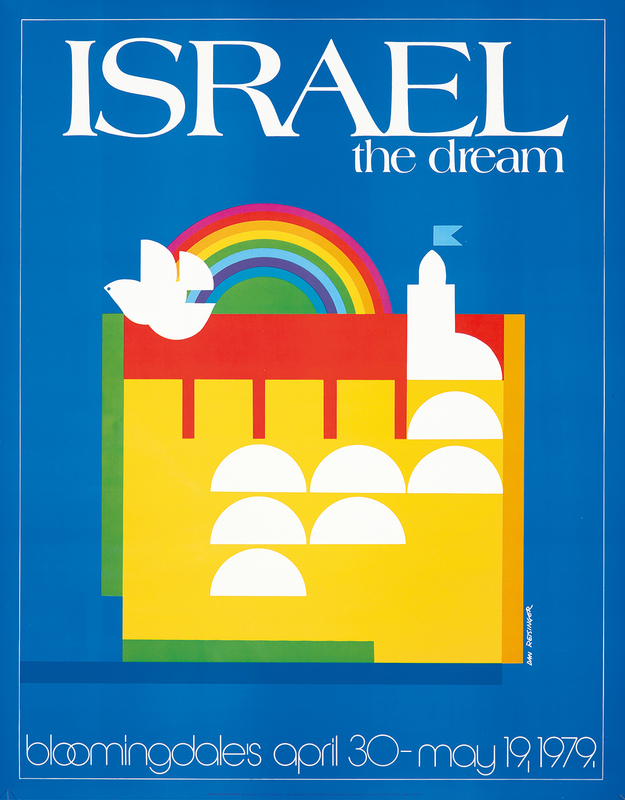 Israel - The Dream. 1979. Reisinger created this idyllic poster for a Bloomingdale’s promotion in New York. The white semi-circles represent the windows and towers of the Old City in Jerusalem—and above the yellow city wall, a peaceful rainbow and dove float up into the sky. 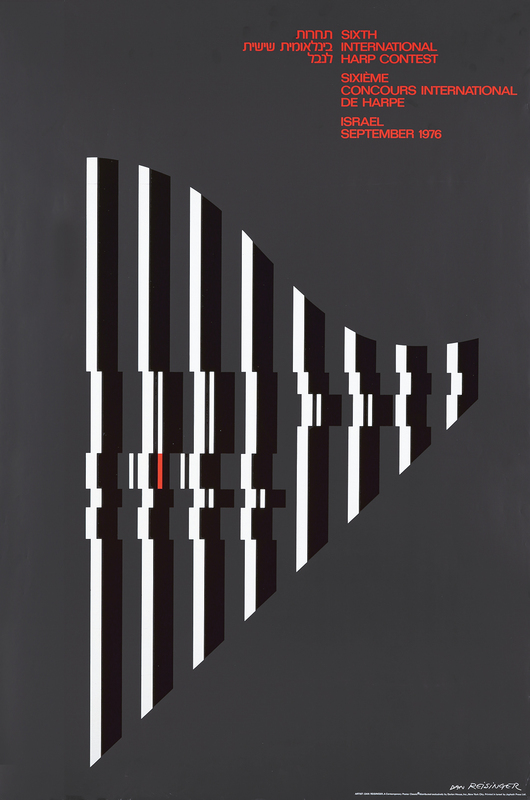 In keeping with its aims of supporting and fostering the appreciation of contemporary graphics while celebrating the lithographic traditions from which these designs sprung, Poster Auctions International commissioned a series of original poster designs to commemorate their biannual sales from 1992 through 1997, at which point economic realities prevailed over artistic sentiments. 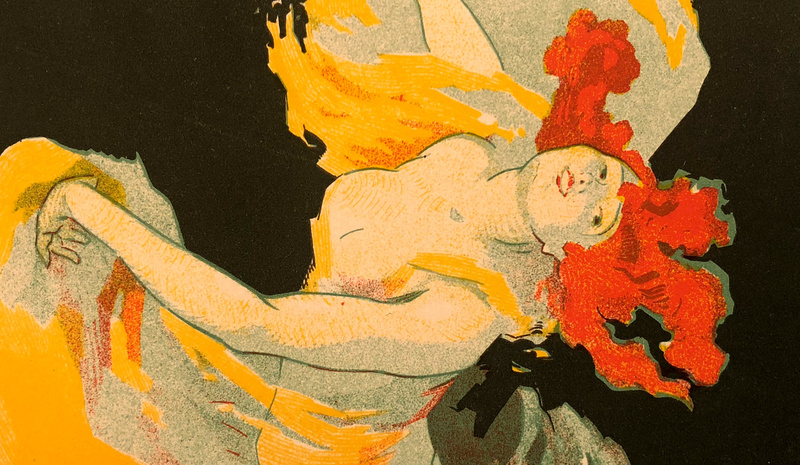 The participating graphic artists comprise a who’s who of the world’s most-distinguished posterists, and each poster is a limited-edition of 200 numbered copies—all hand-signed-on special stock. 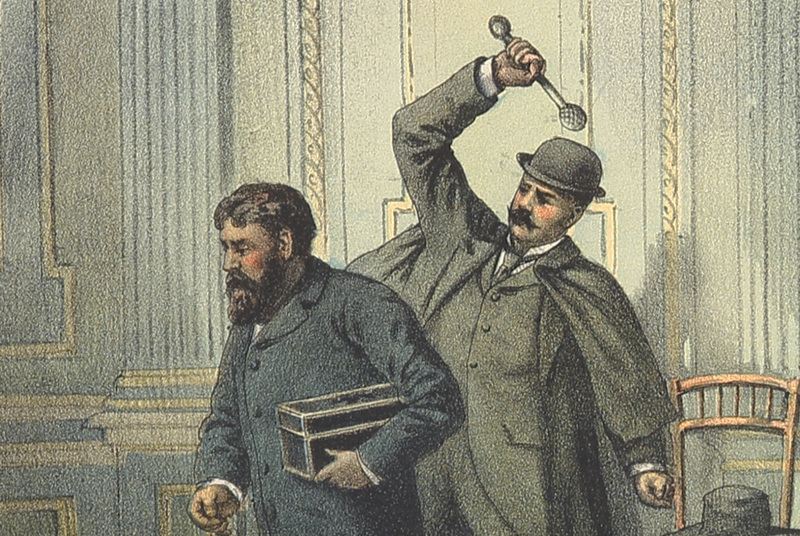 Note that the design was also printed in an edition on regular stock to be pasted on the walls of Manhattan prior to each sale. The fact that these posters were papered over or torn down only days after they went up is another reason why these are so rare. 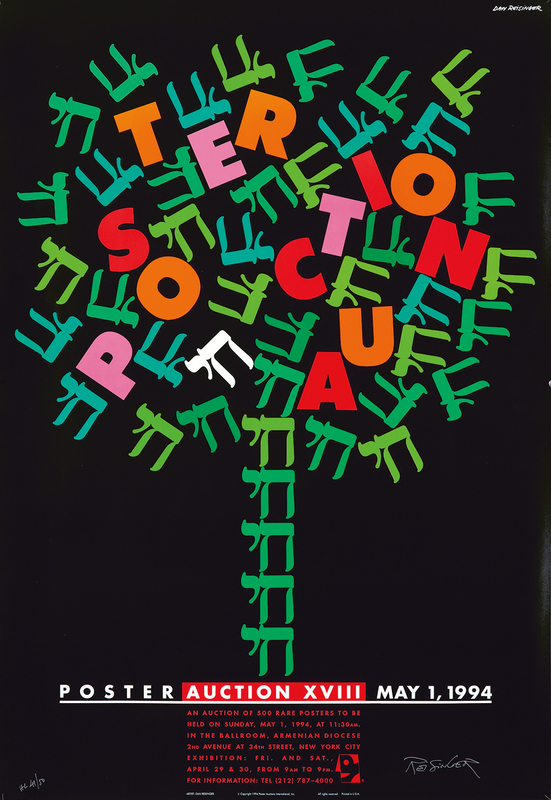 In creating the poster for PAI’s 18th auction, Israel’s premiere graphic artist makes extensive use of the 18th letter of the Hebrew alphabet (chai) to form the image of a tree of life. In Hebrew, the letter symbolizes life and good luck. Darfur / Who Cares? 2007. A majority of Americans have either read about or seen the televised carnage in Darfur. Posters Please was looking for an opportunity to contribute to the alleviation of the suffering of the people in that region. To that end, we have commissioned a poster by one of the world’s most illustrious graphic artists, Dan Reisinger, to help spread the word of the humanitarian aid so desperately needed in that region. 200 copies of the poster were printed in Israel. This design is a gift from the artist. Dan’s poster asks, “Who Cares?” The answer must be: “We all do.” This is a limited-edition poster. We hope that you will help us to make a difference—it’s a small step, but one that we should all take.